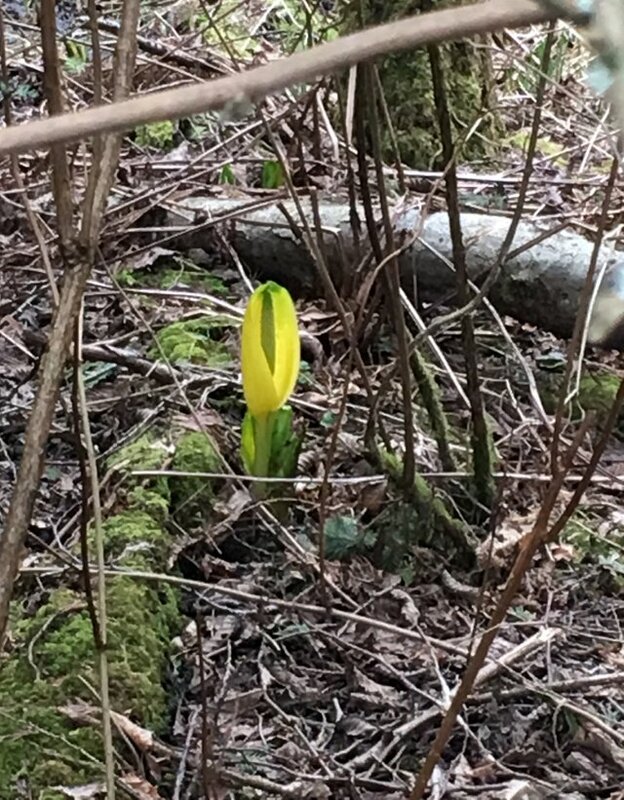 Where I live in the Northwest, you can tell it's spring for sure when a certain plant appears. Sometimes, you might even smell it before you see it! 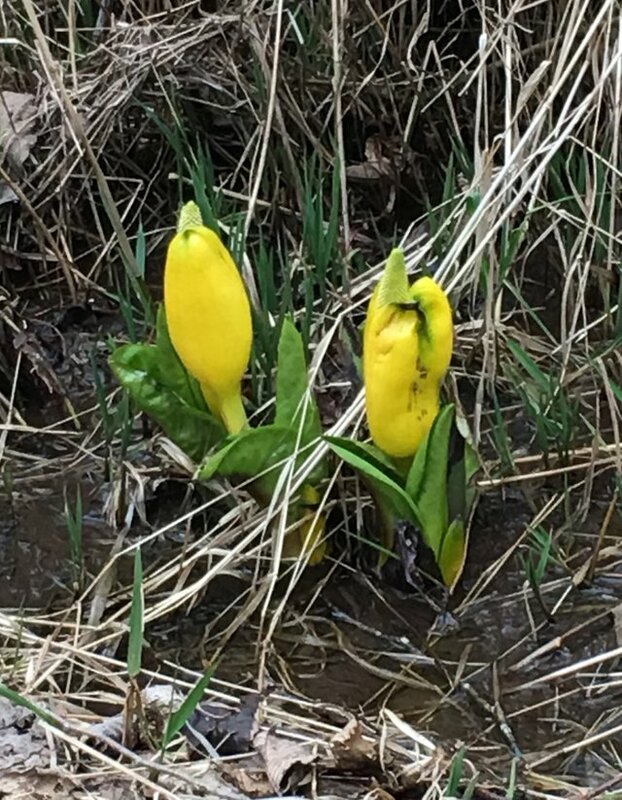 Symplocarpus foetidus, otherwise known as skunk cabbage grows in boggy areas near the trails that we hike. 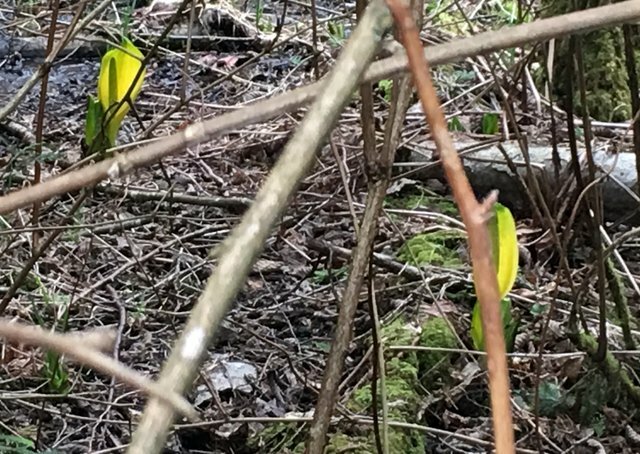 You can spot it's yellow blooms first, and then later the huge green leaves appear. I've been watching and waiting for it to appear, and appear, it did! One day there was nothing......and then suddenly, not just one, but a multitude appeared! The odor is harmless, but stinky nonetheless. 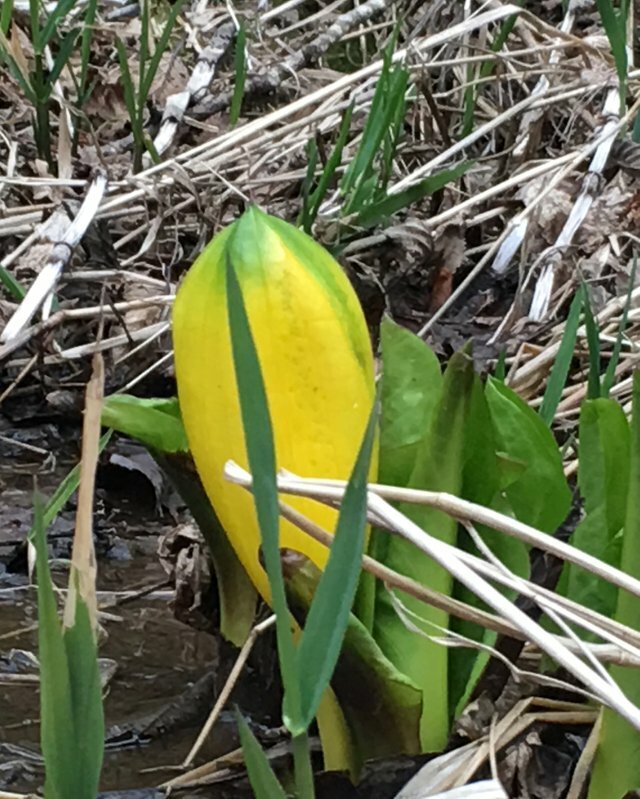 It can be considered a thermogenic plant as it produces heat through cellular respiration and can melt frozen ground as it grows upwards. Uses have been listed as medicinal purposes in the treatment of respiratory diseases, rheumatism, dropsy and nervous disorders. It has been used as a seasoning in food, but generally not eaten raw as the roots are poisonous and the leaves can burn the mouth. I've read that you can dry and use the leaves in soups and stews, but honestly, I think I would pass. The smell would do me in for sure!